If you are a homeowner with a yard to maintain, you understand the amount of work that goes into keeping it groomed and presentable. Mowing the lawn, raking the leaves, and trimming the hedges are all time consuming, but not impossible tasks by any stretch of the imagination. However, taking care of the trees in your yard is not as simple and can actually be dangerous for the inexperienced. Trees can add a lot to your property, but can also cause a lot of damage, if not properly maintained. For Morris County tree services, Amazing Tree Services is ready to tackle Mother Nature. If your tree has died, we need to remove it as quickly as possible before it falls and causes damage to your property. However, a tree that may look like it is dying may not need to be entirely removed. Sometimes, the trees only need to be trimmed or pruned to return them to a healthy state. Our Morris County tree service experts have the understanding to determine the best plan for your property’s trees. We provide free estimates and guarantee satisfaction with all of our services for all of our customers. The warmer weather means more work and time to maintain your property. Let us take one of the burdens, your trees, off your hands. 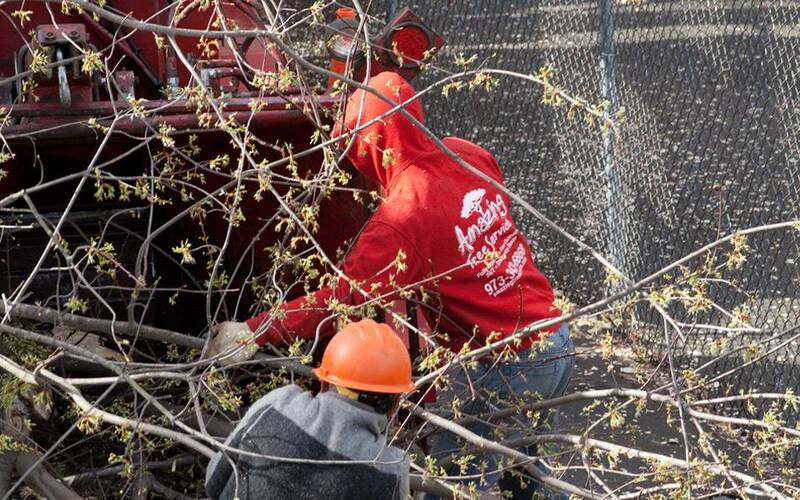 To find out more about our expert tree service in Morris County and to receive your free estimate, call Amazing Tree Services today at 973-343-6868. After the destructive force of Hurricane Sandy, many trees were left damaged or destroyed throughout New Jersey. While cleanup crews removed many of these hazardous remains, many stumps were left. If you still have any unsightly stumps left on your property, Amazing Tree Services is a company that provides stump grinding along with any other tree services in Essex County. A stump can attract bugs and weeds. There is no reason to keep them around. It can be a dangerous process and is best to be left to the professionals. When finished, we can either leave you the wood chips or dispose of them for you. We do not only provide stump grinding, but many other tree services in Essex County such as tree trimming, pruning or removal. Amazing Tree Services offers quality work at low prices. We own all of our own equipment and vehicles to save on rental costs. Our cranes and cherry pickers are also available so other services. We will even plow snow if required. If you would like, we can even leave behind the wood or wood chips. For more information on stump grinding or any of our tree services in Essex County, call us at 973-343-6868 for a free estimate. Trees have a lot to offer our families between their shade and beauty. Although raking in the fall might be a nuisance, it is worth it because it is hard to imagine your property without the trees. However, if your yard is like most in New Jersey, the trees that grow near your house have been around a very long time and they require some care to keep them safe and looking great. One way to do this is to hire Amazing Tree Services for all of your NJ tree pruning needs. Tree pruning in NJ can be used to solve a number of common problems such as preserving the health of the tree. Any dead or diseased limbs that threaten the rest of the tree and may sap its energy are removed in order to promote healthy growth. In other cases, branches may be coming too close to your house or a neighbor’s house and this can cause some costly damage if ignored. Even branches hanging over a pool should be removed. 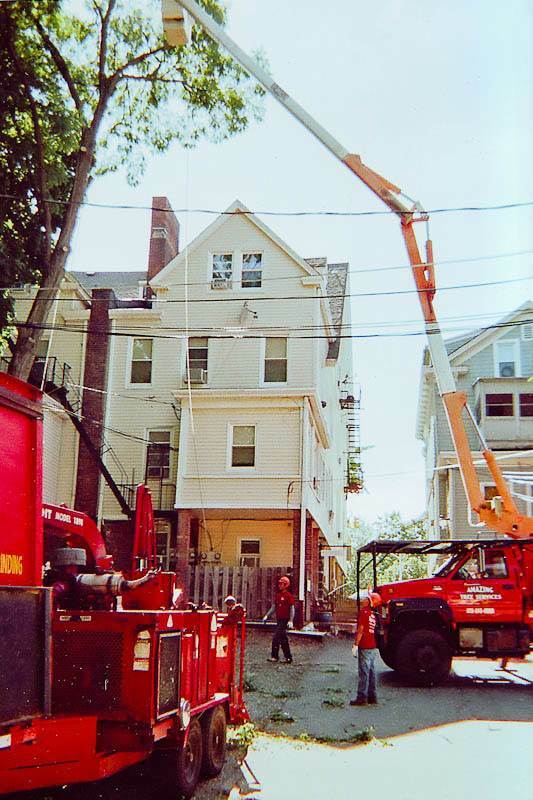 Our tree professionals know how to remove the branches without harming the tree itself. You value your trees and all they add to your property, so make sure they will be around for a very long. 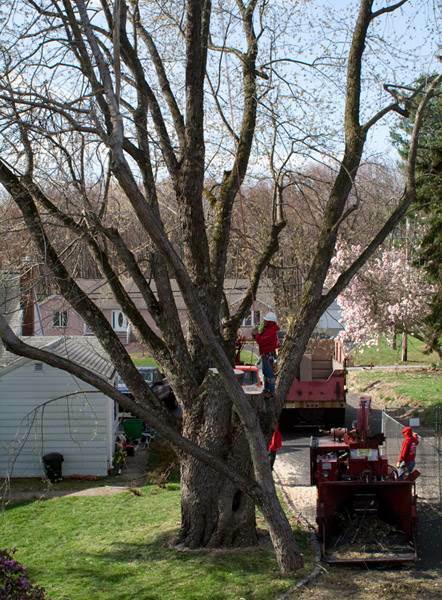 Our tree experts will be able to perform the necessary tree pruning in New Jersey for this to be possible. To find out more about our NJ tree care services, call Amazing Tree Services today at 973-343-6868. Between all of the recent snow storms and and hurricanes, a lot of trees and branches have fallen or left damaged. If a tree has partially broken and dangling branches, it not only looks bad, but can prove to be dangerous. When the branch eventually falls, it could land on people, vehicles or any other property that can be damaged. Do not wait for that to happen. Amazing Tree Service offers tree trimming in NJ as well as a large variety of other tree services that they are amazing at. Our expert staff has the knowledge and skills to effectively trim or remove any trees. We never lower our standards and quality of our work by hiring out subcontractors. By pruning your tree’s branches, you control the amount of light and shade that gets cast onto your lawn. We can inspect your tree’s canopy and perform a number of pruning services including crown cleaning, crown raising, canopy pruning and understory reduction. Many times, when removing a tree, the stump is left behind to cut costs. This is not a good practice. Not only is a tree stump an eyesore, but will eventually rot and attract insects. 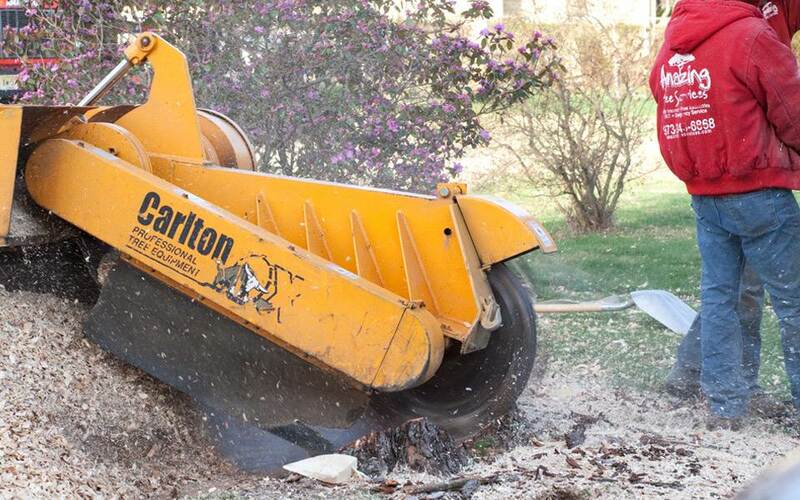 Stump grinding can be a dangerous procedure, and it is recommended to call professionals. That is why we provide stump grinding services to eliminate all of these hazards. For more information on tree trimming in NJ or any of our other services, call us at 973-343-6868 for a free estimate.